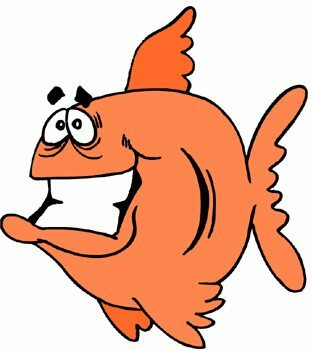 Fish is the Australian version of the internationally popular children’s card game, Go Fish. These games fall under the category of matching card games that also include Jo and Rummy. In Fish, each player tries to collect as many pairs as possible until the deck has been exhausted. Fish can be played with any number of players, however 3 to 6 players is an ideal number. You may use either the standard 52 card deck or add the two jokers to make a 54 card deck. If you use the jokers, these cards do not act as wild cards but merely serve to pair with one another. Your first step is to choose a dealer, but you may do so in any way you choose. Once this is done, the dealer deals out seven cards to each player. You may either deal out seven cards at a time to each player or one card at a time until each player has seven cards. The deal is from left to right (clockwise). The remaining cards are placed face down in a pile in the center of the playing space. These cards may be referred to as the Ocean. Each player must then make as many pairs in their hand as possible and lay these down face up in front of them. The player who lays down the most pairs gets to go first. When it is your turn, you may ask any player you choose if they have a card with the rank you need. This should be according to what unpaired ranks you hold in your hands. All paired cards should be played face up immediately so that you will never hold a pair in your hand at any point in the game except at the very beginning. If the player you ask does not have the card you are searching for, that player will say, “Go fish.” You must then draw a card from the Ocean stockpile. The turn passes to the person you asked unsuccessfully for a card. If the player you ask does have a card you are asking for, that player must hand it over. However, that player only needs to hand the one card over and any cards she or he has played in front are not available to be traded. A player may continue playing his or her hand until told to go fish, at which point the player who said go fish gets a turn. Game play continues until all the stockpiled cards in the Ocean are gone and all players have played their pairs in front of them. If a player runs out of his or her cards during the hand, she or he may draw up to seven more cards from the Ocean stockpile. For each pair in front of a player, that player gets 1 point. If a player has the two jokers, they get an extra point. If a player has two pairs of the same rank (all four cards of that rank) that player gets a bonus point so that they will get 1 point for the first pair, 1 point for the second pair and 1 bonus point for a total of 3 points. You may play until a fixed point amount, usually 20-40 points depending on the number of players you have. Whoever has the highest amount of points when the target score is reached wins the game. Backstab fish is a popular variation on Fish, but instead of pairs you have to have four of the same rank in order to lay the cards down. The collection of four cards is called a book. In Backstab Fish, you begin with two decks and use all four jokers, so that you have a total of 108 cards. Game play works best with 4-10 players. In this version, you do not have to lay down cards until you choose to, but any cards in your hand are fair game for other players to ask for. You must also have in your hand at least one card of the rank you ask for. Another difference is that instead of asking for and getting one card from another player, you must specify the number of cards you want. If the player does not have at least that number of cards, she or he tells you to go fish and it is that player’s turn after you draw one card. If you ask for less than the number of cards that a player has of a specific rank, that player only gives you the number of cards you asked for. For example, if a player holds three 2’s but you only ask for two 2’s, that player holds onto the third 2. Scoring works the same way for Backstab fish except you score 1 point for each book of four and if a player holds two books of the same rank, she or he gets an additional point as well as the two points for each book.